All our homes are built to the highest residential standards carrying the Gold Sheild Ten Year Warranty and constructed in line with BS3632. Obviously walue depends on a number of factors not least, location, quality of park services and maintaining your home in good condition both internally and externally. We maintain the park to the highest standards and the location itself is exceptional for both rural pursuits and surrounded by amenities. In general market trends follow that of traditional bricks and mortar. Is buying a Hibbs Park Home a good investment? Unfortunately No, you would be buying a home with a licence to use the land on which the home is positioned indefinitely. We have a residential licence for 12 months occupancy. The value of your home will benefit from any increase in the underlying value of the land. Am I the owner of the land? Yes of course you can. There are however certain requirements that need to be met and these are best discussed over a cup of tea! Can we sell our home ourselves? Absolutely. Your home is yours to pass along to your loved ones. If I am a resident and I pass away can I leave my home to my children? Yes. Your park home is yours to live in for 12 months of the year. Can I live on the park permanently? 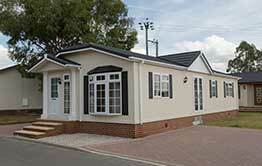 Obviously that depends on the size, design and specification of your park home. Here at Hibbs Park Homes we pride ourselves on providing the best value for money on the market so why not visit the homes we have for sale here. 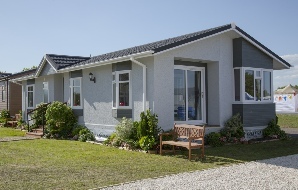 We offer great finance terms on park homes. Up to 80% of the home value over periods of up to 20 years. Subject to status. Why not get in touch and we can chat through your personal requirements. Can you finance a park home? There is a service charge for the park which covers items such a street lighting, communal areas, security, road maintenance and estate management. All utility services are metered. 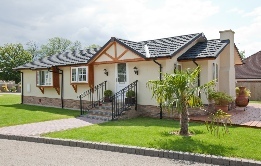 What other costs are associated with Park Homes? Pets are completely welcome after all what would a man be without his best friend. All that we need is an application in writing for management approval. 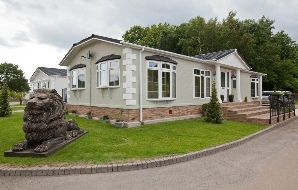 You can also give us a call on 01623 860 040 at our sales office. How to I find out more about park homes? A small deposit will secure the home for you until you have either sold your current home or are able to complete your purchase. How do I secure the park home of my dreams?